QuickCapture is the leading electronic event data capture technology in the experiential marketing industry, trusted by many of the world's largest consumer brands. Our user-friendly design has set the gold-standard in consumer engagement, ensuring seamless integration across multiple activations. We've added several great new features to our award winning QuickCapture line-up to help make the most of your event marketing budget and drive higher event ROI. Our industry-best experiential lead capture technology-QuickCapture 5-provides deeper, statistically-driven insights from your events. These insights go far beyond simple data reporting. We can help you benchmark your results against your past activations or against your competitor. We capture important metrics that include Consumers Engaged, Quality Leads, Opt-in Rate and more, to help you understand the quality of leads you're collecting, not just the quantity. 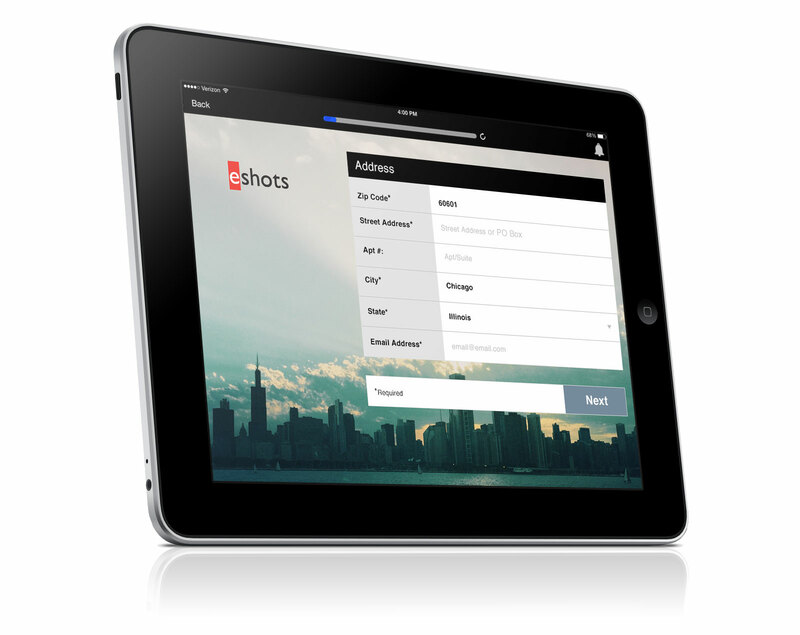 eshots is the only experiential technology company with a data capture application approved for download in the Apple App store. This approval means that you can trust the safety and security of our technology above all others. This close affiliation with Apple also allows our team access to the Apple Developers Conference, as well as integrated OS updates and top-level data security. 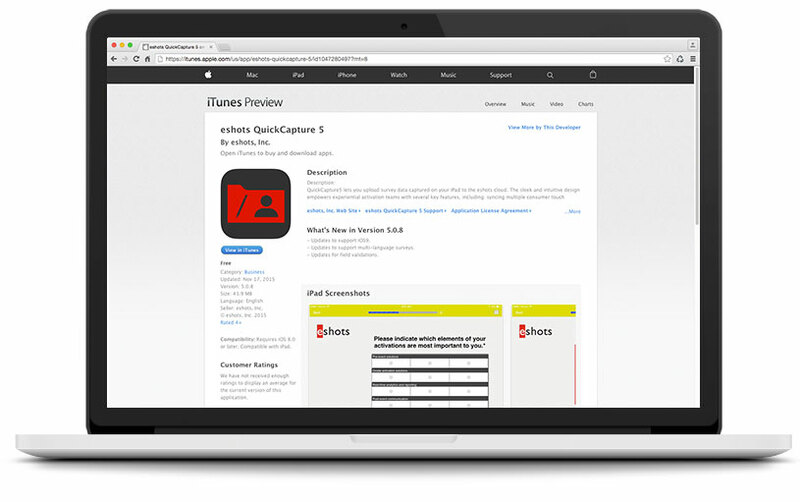 Data is collected using our award-winning lead capture application QuickCapture. 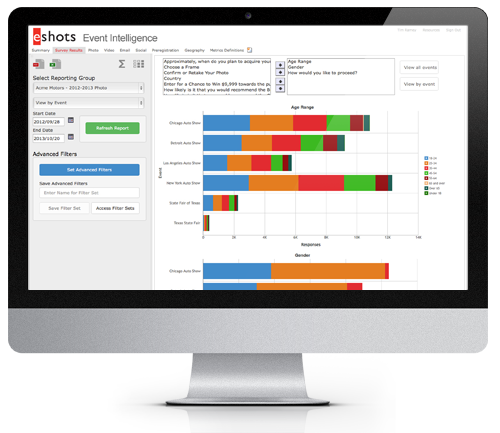 It's then automatically uploaded to the eshots cloud, and then pushed to our Event Intelligence platform and the client's CRM. All of this is followed up with a Rapid Response email that can be customized based off of each consumers responses.